Zimbabwean President Robert Mugabe , has finally announced his retirement. The Zimbabwean president has always maintained that he would die in office. Speaking to a group of war veterans at the weekend, Mugabe admitted that the country’s economy is crumbling and said he would retire. The Southern African country’s currency is in poor shape and banks running out of cash, the country is also feeling the pinch of a crippling drought. 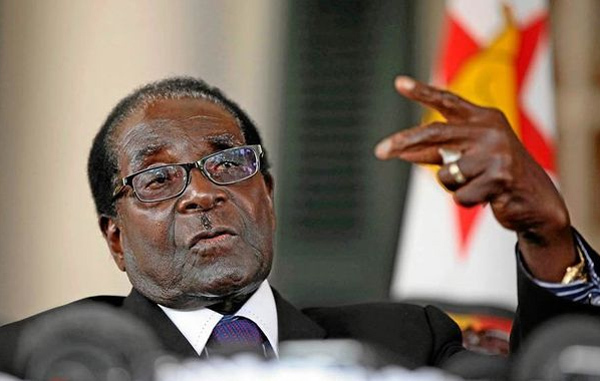 However, the ruling party, ZanuPF said Mugabe will still be contesting in the country’s next election in 2018 and if he is re-elected, he will only retire in 2023, when he turns 99. He told “war collaborators” that he believes he had now “defeated the British and Americans and that he understood times were difficult in Zimbabwe. Mugabe had dismissed demands by once stalwart war veteran supporters to quit, saying he was in power by popular vote and accusing critics of plotting his ouster with longtime Western opponents. The 92-year-old Mugabe, the only President Zimbabwe has had in 36 years of independence, was addressing thousands of Zimbabweans who rallied to support him, a few days after veterans called him a corrupt dictator. “As long as the party says continue, I continue…If I still have the energy, I still have the life, the blessings of God, I will continue,” Mugabe said in a 50-minute address. “There was a time, some years ago, when Zimbabwe seemed important, that it could be a powerhouse in the region, but that moment has long gone, and now it is hard to find anyone who can forecast how it can repay its debts even with a new leadership, let alone attract foreign investment,” said a Harare-based financial analyst. Mugabe also acknowledged that there were factions within ZanuPF but that they would come together ahead of the next elections.